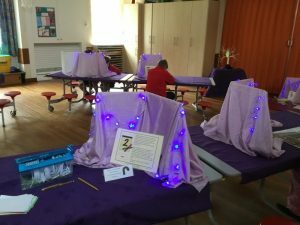 At East Bierley Primary School, we recognise that a child’s personal development plays an important role in their ability to learn and achieve both now and later in life. To achieve this, we aim to provide opportunities to enable children to explore and develop, fully preparing them for their role in society with a true understanding of citizenship. Our school core values of respect, friendship, forgiveness, trust and courage are embedded in all we do and are an integral part of the curriculum we offer to everyone at East Bierley. All the members of our school community work together to ensure that children experience and develop a caring attitude, high standards of behaviour, an understanding of social and cultural traditions, and of diversity as well as a spiritual awareness. Feedback from parents, staff and children has been lovely following the whole school work learning about the First World War and the Armistice. 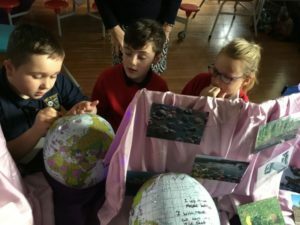 We have really immersed in the learning and the quality of work across the curriculum, including English, History, Geography, Art, DT and PE has been fabulous. 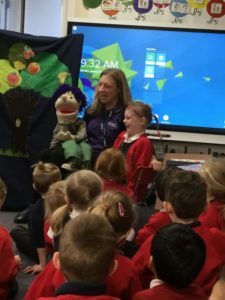 Social development refers to children’s understanding of their role in society and the opportunity to develop the skills that will facilitate positive interactions and relationships within the local community. We foster this through collaborative working within classes, across year groups, our school teams, links with Church and our local schools. 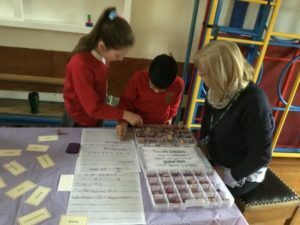 Our school council develops an understanding of democracy and individual liberty through a whole school vote. Through developing the skills and attitudes to our core values and curriculum, the children demonstrate qualities valued in society, within school and beyond, and their attitudes will contribute positively to life in modern Britain. Our children understand their responsibilities and how the choices they make impact on others. Developing the voice of the child is a priority in school and children increasingly lead their own learning. We celebrate May Day, a valued part of our curriculum which can be traced back over a number of years. many of our parents recall participating when they were at school! We create hats or costumes to parade round the village - led by the May King and Queen. 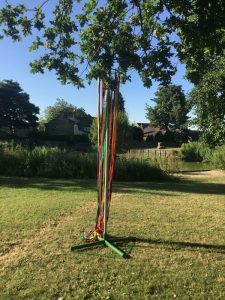 Parents and carers are invited to join us to create art work before an afternoon of performances of well-known, well-loved dances including Maypole and sword dancing. Brooke, a year 6, commented, "The village community comes together and rejoices in this traditional event." Staff comment that this tradition is delightful and they (as new members to the team) really enjoy the opportunity to come together as a wider community. Moral development is about the ability to recognise the difference between right and wrong and to apply this to their own life. We support these developments through our English and PSHCE curriculum where we explore emotions and the way they impact on others. We provide a clear moral code of behaviour, which is shaped by the children, and modelled by everyone in school. 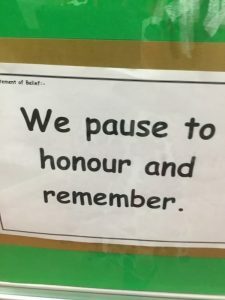 It is promoted consistently through our school rights and responsibilities, class rules, anti-bullying learning, online safety learning and collective worship. 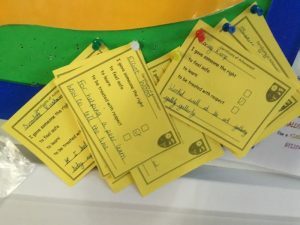 Children are given opportunities to explore rights and responsibilities and we reward good behaviour in school with our yellow certificates and small cards home. Our school ethos and collective worship are central in this. We respond to real-life situations and concerns in order to develop an appropriate curriculum, for our children, with real context. Spiritual development is embedded in our core values and in both our RE curriculum and the wider curriculum. Our children reflect on their own beliefs and on their experiences. They share a sense of wonderment and enjoyment in the learning about the world we live in. 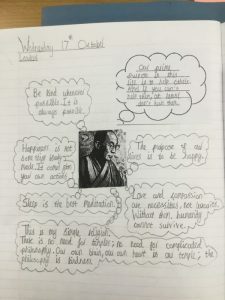 We promote teaching styles which value children’s questions and gives them space for the own thoughts, ideas and concerns so they can learn from religion and the curriculum and make connections between their learning and the context of their own lives. We encourage respect for others; their feelings, faiths and values. 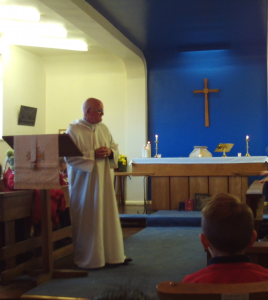 Our World Faith Week was a great example of how we learn from faith. Our whole school day learning about the Lord's Prayer was a super time for reflection. We extend this and deepen that development over time - last year with a focus on Creation. We explore through our Statement to Live By and reflect on our lives - recently our statement 'I am inspired by the courage of others' enabled us to link with 100 years of votes for women, the anniversary of the release of Nelson Mandela and other inspirational individuals to help develop a wider understanding of the world we are in. We use reflection to help develop Spirituality. Hand to Mouth work with us to help transition and the year 6 Moving on Journey. This year our whole school day focused on Respect - one of our core values. 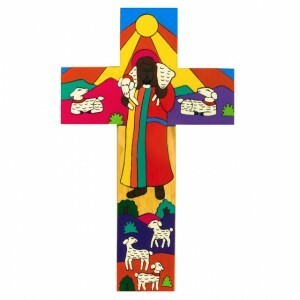 The children thoroughly enjoyed this, particularly the Godly Play. Cultural development refers to a child's understanding of beliefs, values and customs in the own and others’ social, ethnic and national groups. As a school, this aspect is firmly embedded in our curriculum and wider relationships. 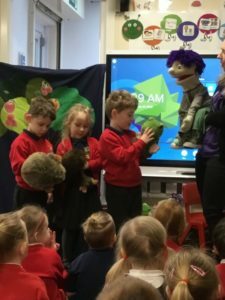 We provide opportunities for children to explore through community events, world faith week, our rich and creative RE curriculum and through our wider school curriculum. Our One World Week enables a deep focus on culture in different parts of the world. 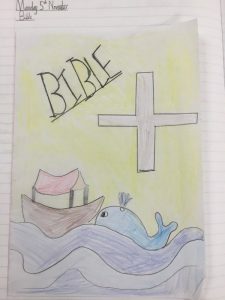 Our children enjoy RE and show a real connection with their learning, regardless of faith. We learn about all the major faiths and look closely at the links between them to learn about the similarities that link us all. In line with DfE guidance, we promote British values of democracy, the rule of law, individual liberty and mutual respect and tolerance of those with different faiths and beliefs. As a Church of England school, we have a set of values to which we work and these values intertwine with the British values to ensure our children develop into responsible, outward -looking, caring and compassionate human beings with a sense of self and a sense of the world around them. Work to support these values is part of the ethos of our school and can be seen through voting in school council elections to show children democracy in action, emphasising the school rights and responsibilities and celebrating successes their yellow certificates, allowing children to make informed choices about their work and some aspects of school life, showing respect in the community for everyone, finding out about different cultures and religious traditions in RE, worship or topic work. We encourage a deep understanding of how we can use charity to help others throughout the year and we take responsibility for own community. Children increasingly take a lead role in our charitable events. We also spend time with the children finding out about different events that are important in Britain. 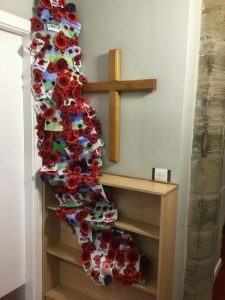 Some of these are annual events such as Remembrance Day and involve a whole school service at the local Memorial as well as work undertaken in school. Others may be topical such as the Olympics, the Golden Jubilee or the general election. We also use historic events. All of this helps our children to understand more about the country in which they live in and events of national importance. Our new award 'Always makes the right choices' links with this broader aspect of our curriculum. It is a highly contested award too - many children could be awarded it! In order to fully celebrate, we have extended our yellow certificate celebration and now also send home a small card each week if children have consistently made the right choice ensuring no child is unnoticed but all are rightly celebrated. The drawing together of our values and SMSC is shown by our children through their actions. We have children who are really thoughtful and considerate. This comment sent in by a parent when school was unable to open due to snow - putting a stop to our World Book Day celebrations shows this clearly.